The Arcato Chamber Ensemble is a dynamic orchestra made up of the finest professional musicians in the greater Kalamazoo area. 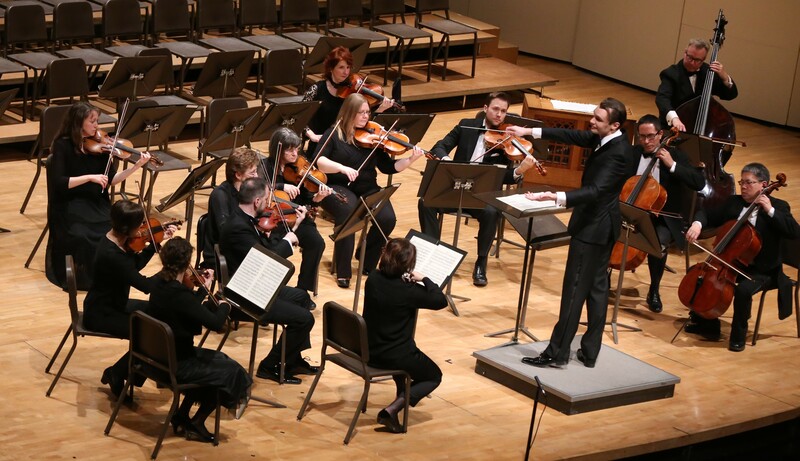 Our members include faculty from Western Michigan University’s School of Music and Kalamazoo College, as well as members of the Kalamazoo Symphony Orchestra, among other groups; we come together as friends and colleagues in a celebration of the richness of Kalamazoo’s cultural life. Balancing the sonic depth of a full orchestra with the immediacy and individual expression of a small ensemble, the Arcato Chamber Ensemble brings freshness and vitality to performances in repertoire ranging from Bach to Pärt to Dvořák.